Congratulations on joining The High Ticket Warrior Masterclass but before you go.. I recently surveyed a group of marketers on my list and do you want to know what the #1 problem that they seem to face in their business? There’s no doubt that as an entrepreneur you need targeted eyeballs seeing what you offer or else you’re not going to make money or enough of it.. Whether you’re a beginner and have not found your way online yet OR maybe you’re an intermediate to advanced marketer with your own products or affiliate associations, I’m about to solve 90% of your entrepreneurial problems by teaching you what I know for getting upwards of 50,000 targeted visitors per month to my sites.. I got my start in this whole Internet Marketing journey back in about 2008..
Just like many others starting out, I knew that making money online was possible but I just couldn’t seem to put all of the pieces of the puzzle together and make it work.. There was a point where it seemed as if everything I did FAILED and did so miserably..I was frustrated and Ready to give up, but then it hit me! I was making this whole online thing more complicated than it had to be as I just needed to make sure I remembered this simple formula that my mentors repetitively mentioned..
To make a long story short, I made a promise to myself to learn as much as I possibly could about traffic generation so that I would never have this”shortage of money” problem again..
Once this piece of the puzzle was finally figured out that’s when my business took off! Just look at how much traffic I’m bringing in these days..
That’s not even a fraction of the various traffic stats I can show you, but the point I’m trying to make is that I do this in real life! 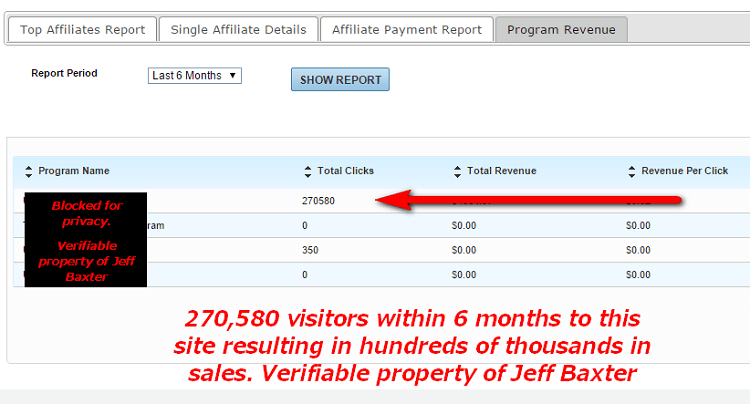 No theory, no funny business..
What’s even more cool about being able to send tons of people to my sites now are the SALES! More sales equals more money in the bank to live what most of us call the “Internet Marketing Lifestyle”..
Here’s just a glimpse into my life thanks to cracking the “traffic generation” code..
I’m pretty much able to do what I and WHEN I want now as my business runs on autopilot. Of course this would not be possible without having red hot targeted visitors landing on my pages every single day ready to buy..
Mastering this single aspect is when things changed.. Bringing offers back to life that were buried among thousands of other webpages is when my business took a turn for the better..
How would you like to watch right over my shoulders as I show you insane traffic generation methods that are so powerful it could result in merchant accounts being closed because of sudden increased sales volume? 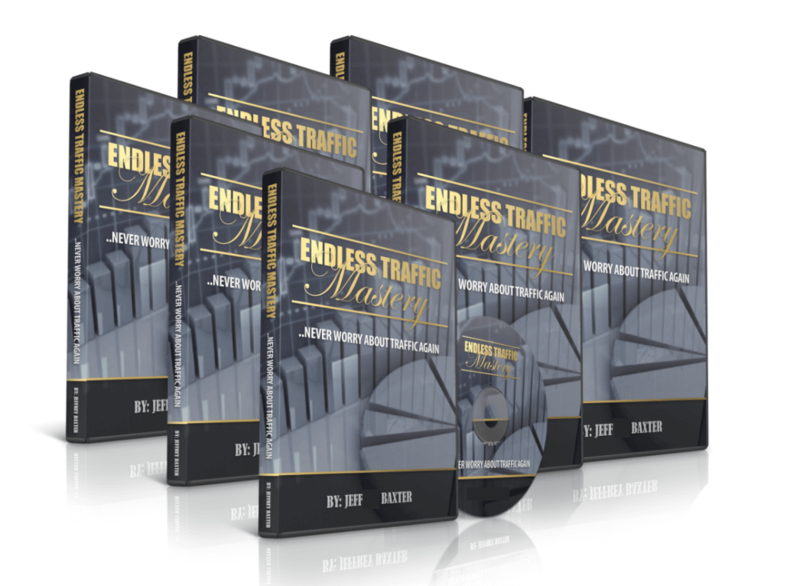 Imagine being a complete novice when it comes to traffic generation today and by this time next month you’re bringing in hundreds if not thousands of visitors DAILY to your website or offers resulting in more money in the bank..
What I’ve put together is a comprehensive video training series that walks you through some of my most PROFITABLE traffic methods that allow me to pull in upwards of 50,000 targeted visitors per month and run multiple 6 figure yearly businesses. Here’s everything you’re about to get access to..
Module 1: Mastering Joint Venture Traffic Generation and The $40,000 Affiliate Mailout.. Benefit #1:Learn My “standout” Methods. If you’re a product creator then you know that getting affiliates to promote your stuff can oftentimes be a challenge. When there’s hundreds of other individuals doing the same thing it’s important to learn how to effectively standout or else you’re just another vendor looking to get people who don’t know you promoting your offer. I’ll be showing you strategies and the psychology behind getting tons of affiliates sending traffic to your site causing sales to pour in like clockwork! Benefit #2:Learn CPA Traffic Generation. Ever wanted to know what it’s like to have your own product on a cpa network where you haveTHOUSANDS of people seeing your offer daily? Sounds expensive right? It can be, but I’ll be showing you secret funnel strategies that allow you to start on a small budget and create a quick return on investment while your affiliates keep a nice epc. Everybody wins and you don’t lose your shirt.. Benefit #3:The $40,000 Affiliate Mailout. It’s one thing having a bunch of small affiliates promoting your offer, but it’s a different story when you have SUPER Affiliates. I’ll be showing you how I managed to bring in one affiliate who brought in over $40,000 in sales to my offer in under 30 days and even more throughout the course of the launch. 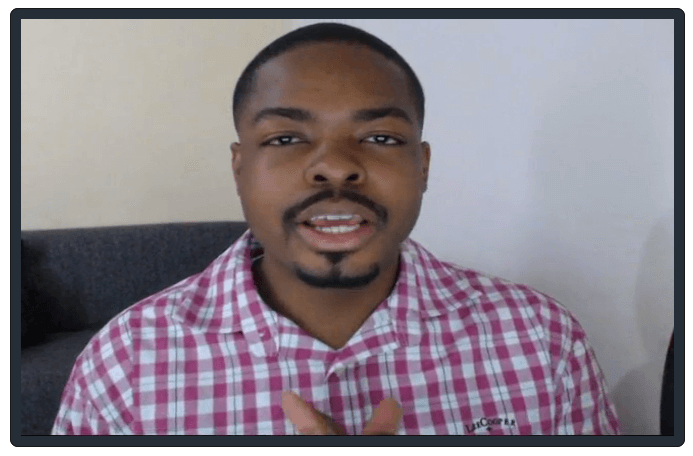 Whether you’ve been doing bing ppc already or “heard” about how great it is, I’ll be showing you some ninja strategies that allow me to bring in sales like clockwork with this search engine.. Benefit #1: Proper Keyword Research and Adsets. One thing we’ll discuss is how to effectively do keyword research and how not to over-complicate this process. Also, when it comes to adsets per campaign, you’ll be surprised at how many keywords I use which is totally opposite than what most “experts” recommend. I’ll be showing you why and the reason I have positive results doing it this way. Benefit #2: Proper Campaign Structure. The main problem that many individuals face when it comes to doing ppc is getting overwhelmed because of various settings. I’ll be showing you the exact settings I use which results in a positive return on investment every single time. Benefit #3: Effective Ad Copywriting. You can have the best keywords and proper settings, but if your ads are not written to get people clicking, then everything you have done would be in vain. I’ll be showing you how to have massive amounts of people clicking through to your offer and ready to buy! Benefit #4: Landing Page Secrets. Discover my free traffic generation strategies that you can use to sell practically anything without spending a penny! Benefit #1: Get On An Even Playing Field. As you probably already know, when it comes to promoting some type of offers, according to the industry, it can be extremely difficult to do paid ads without getting your account closed. With my free traffic generation strategies, you’ll learn how to be on an even playing field with people in other industries who are able to use paid ads BUT without you having to spend a dime. Benefit #2: Nonchalant Pitch Method. 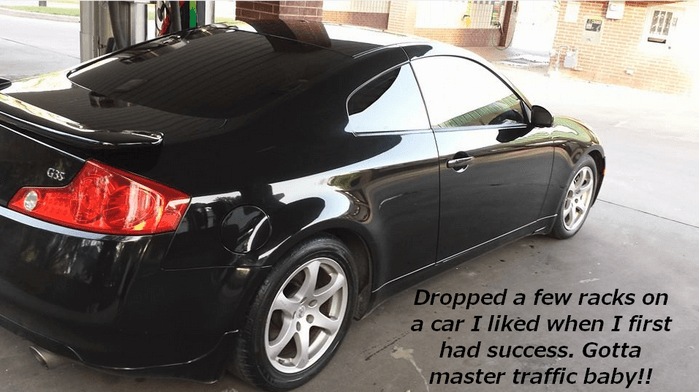 Part of this training is going to teach you how to utilize a method that gets cold prospects BUYING what you offer without coming off as “spammy”. 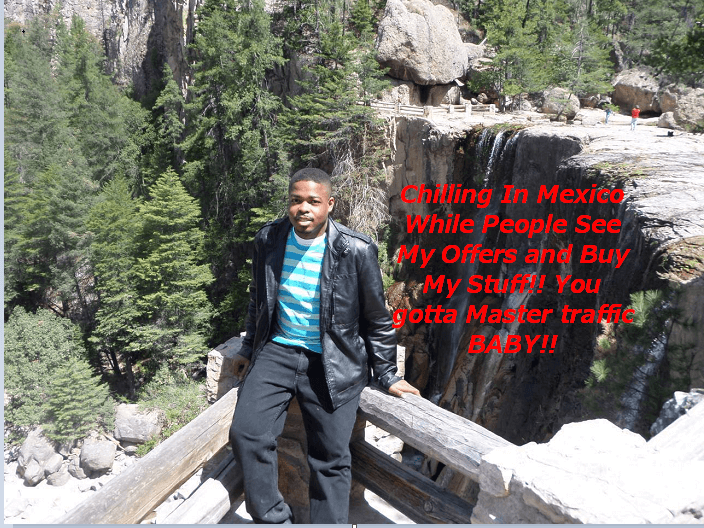 There’s nothing worse than coming off as lame and destroying relationships so I show you a method that I use personally for getting no less than 600 targeted people seeing my offers monthly on a specific network without paying anything. Oh and these people have MONEY to spend so don’t let that 3 digit number fool you.. Benefit #3: Being Broke Is No Problem. If you’re reading this right now then this is FOR YOU! Maybe you operate as an affiliate and struggling to bring in more sales for your business on a monthly basis..
Maybe you’re a product owner and although you have the BEST product in the world you just can’t seem to get people buying..
At the end of the day, no matter your situation, mastering traffic is going to be the life-blood of your business. Without knowing how to get people seeing what you offer day in and day out, your business is pretty much at a standstill. As you know, there’s a ton of value here! I’d estimate this information is worth a good $3,000 or better and could easily be sold as another hight ticket coaching program of mine..
My free traffic generation methods that will allow you to promote practically any business you’re part of without spending a single penny.. This information has the potential to bring millions into your business and while it can easily be priced at $3,000 or more I’m not going to make you pay anything near that.